Prof Li Defeng, director of Centre for Studies of Translation, Interpreting and Cognition, Faculty of Arts and Humanities, has been elected president of the World Interpreter and Translator Training Association (WITTA) at the organisation’s First Congress and Inaugural General Assembly held in Guangzhou. 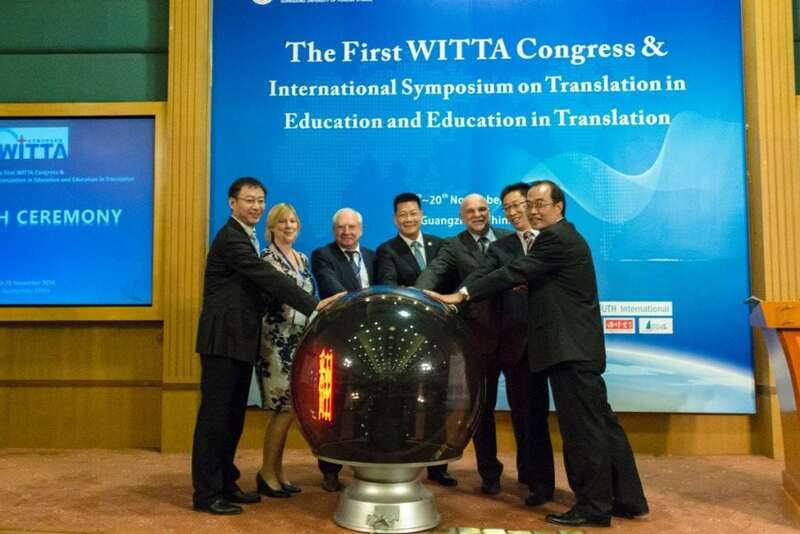 The newly founded WITTA is an international non-governmental and non-profit organisation dedicated to bringing together industrial and academic institutes to promote interpreter and translator training worldwide. The association has 40 founding institutions from around the world, including top universities providing translation and interpreting programmes, such as University College London, the University of Westminster, the University of Leeds, Durham University, the University of Essex, the University of Ottawa, the University of Melbourne, Macquarie University, Nanyang Technological University, the City University of Hong Kong, Hong Kong Baptist University, the Chinese University of Hong Kong, the University of Macau, Guangdong University of Foreign Studies, Beijing Foreign Studies University, Beijing Language and Culture University, as well as major translation and interpreting service providers, publishers and academic journals, such as The Translator and Interpreter Trainer and Chinese Translators’ Journal. Senior advisers to the association include Prof Hannelore Lee-Jahnke, lifetime honorary president of International Standing Conference of the University Institutes of Translators and Interpreters (CIUTI); Mr Henry Liu, president of the International Federation of Translators (FIT); Prof Huang Youyi, director of China National Committee for Translation and Interpreting Education and vice president of the Translators Association of China (TAC); Prof Anthony Pym, former president of the European Society for Translation Studies; Prof Zhong Weihe, president of Guangdong University of Foreign Studies; Prof Arnt Lykke Jakobsen, president of the European Society for Translation Studies; Prof Martin Fostner, former secretary general of CIUTI; Prof Douglas Robinson from Hong Kong Baptist University; Prof Chai Mingjiong from Shanghai International Studies University; Prof Dorothy Kelly, editor of The Interpreter and Translator Trainer; and Prof Lawrence Wong from the Chinese University of Hong Kong. Speaking at the congress, Prof Li Defeng indicated that since the beginning of the 21st century, translation and interpreting education has been developing rapidly and has achieved remarkable progress while facing various challenges, such as the great gap between demand and supply in the translation industry. WITTA was set up to address these challenges by promoting international exchange, interdisciplinary collaboration, and commercialisation of research results. ‘As leaders and active researchers in our institutions and our field of research, we came to Guangzhou to build and strengthen ties and partnerships, share experience, and assess pertinent interpreter and translator training developments that have occurred in these years,” said Prof Li. 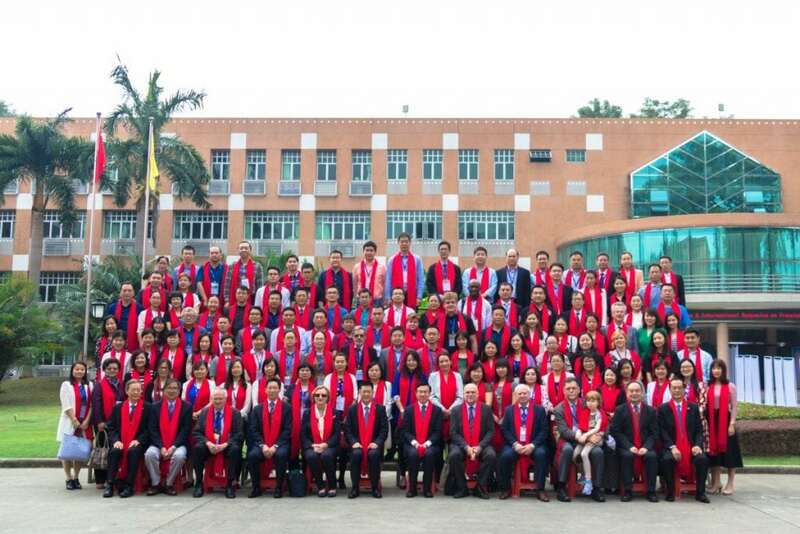 Over 100 experts and scholars of translation education from the United States, the United Kingdom, Canada, Australia, Russia, Singapore, Switzerland, Germany, Japan, South Korea, mainland China, Hong Kong, Macao, and Taiwan attended the congress and assembly. Topics discussed during the congress include the current trends of translator training, the new ways and approaches of training translation and interpreting students, development and assessment of translation competence (especially critical thinking abilities in translation students), new research methods of translation training and translation studies, government-university-industry collaboration, and innovation in translation and interpreting education.The next WITTA Congress will be held at the University of Westminster, UK, in 2018.